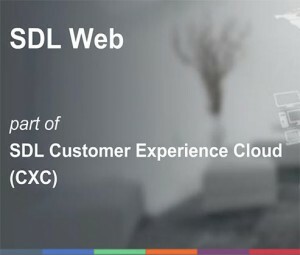 Today SDL hosted an excellent webinar to introduce ‘SDL Web’, a sub-set of the Customer Experience Cloud (CXC) tool suite that was introduced earlier in the year. 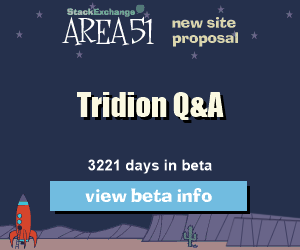 With this blog post I aim to provide a high-level overview of the presentation as it showcased some amazing elements that I’m sure as Tridion developers we’ll all be using in our future projects. I was fortunate to have a preview version the up and coming 2013 release of SDL Tridion to play with. One new feature is Bundles, which is basically a new type of organizational item, which allows you to group together related items, and do operations on them as a whole. Typically this would be putting it through workflow, or publishing them all together in a single transaction, but one nice thing about them is that you can use them however you want to, just add items into a bundle, and use it however you need to. The new release of Content Porter will also be bundle-aware, which got me thinking that there should be an easy way to keep track of changed items during development using bundles to avoid the pain of keeping track manually. It turns out to be really easy using the Event System. Where am I? Skinning the SDL Tridion Content Manager Explorer. To provide context between similarly-looking SDL Tridion environments, consider Skinning the Content Manager Explorer as described on SDL Live Content. Simplified, slightly modified, and with some pics. This is a fairly quick and easy way to make your CMS environments stand out from each other. For the full power of CME Themes, head on over to YATB. I have been very fortunate this week to have had the opportunity to attend the Site Edit 2012 bootcamp at SDL’s offices in NYC. It was a hands-on 2 day workshop where each of us was given an Amazon instance with Tridion and SiteEdit installed. Our goal was to get our hands dirty and solve a wide variety of challenges (including going through the install). Thank you Nuno for making it a great success! 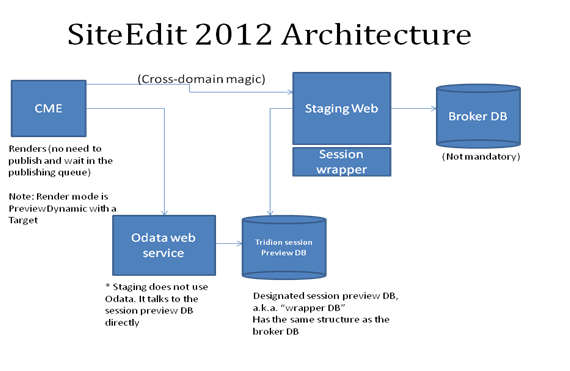 Site Edit 2012, now officially renamed to “SDL Tridion User Interface 2012″, is a very impressive tool. It seems to load into editing mode much faster than its predecessor (at least on the Amazon instance I was playing with), and usability and options available from the toolbar are incredible. The user experience that can be achieved is mind-blasting! Not yet ready to go, but if a customer is ready to use it, then they need to talk to SDL on a case-by-case basis. Controlled release. Only a few customers going to implement. Doesn’t publish in session. Renders the result in the CM and pushes it via web service call. Avoids the publishing queue bottlenecks. In SiteEdit there are no more page templates. They are now called Page Types, which are like a pre-configured page with a template and other defaults. – hole notha level! In Publication settings where you define the Content Types you can specify which folder components get created in via SiteEdit. Can also specify how content is named: user defined or auto-generated (based on a pattern). One ribbon in the toolbar shows all the page templates. Functionality exists allowing to change icons for each template. 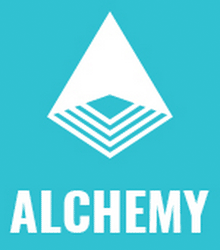 Ambient Data Framework allows to virtually specify a different environment, e.g. Show how something would display in IE, even though you’re using Chrome; or chane the OS type, etc. Can set blueprint context for pages (e.g. New pages are created and edited in Pub A while content is created/edited in Pub B). 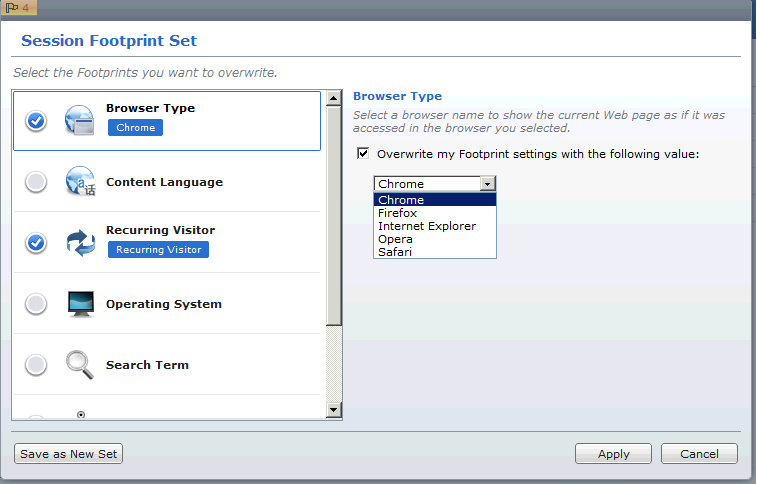 There is another interesting feature called Session Footprint that is designed to help with previewing and testing your page as if the session was created under different environments and conditions. You can select to show the page as if it ran in a different browser and a different OS, change the session timeout values, pull up specific dynamic component presentations based on search criteria and more. The Footprint is engineered based on SDL’s Ambient Data Framework, and the whole thing is quite remarkable. Another cool concept that is provided is called Regions. Allow specifying limits on what kind of component presentations can be dropped in. For example: only allow dropping components based on a given schema or a component template, or limit the number of components that can be added to a region. This is done by addingsyntax in the design template, just like the regions for SmartTarget. Last but not least, I’d like to share a very high-level technical architecture of this tool. To conclude I’d like to say that the R&D folks have done an outstanding job with this tool and I can’t wait to start developing with this new product! I’ve just read Julian Wraith’s new blog post showcasing the visual highlights of Tridion 2011. Whilst Tridion 2009 had a visually enhanced content manager interface (GUI), this was merely a new lick of CSS to give the GUI a visual refresh over Tridion 5.X versions.